OXFORD, Miss. 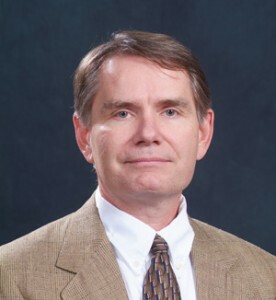 – Richard L. Barnes, 58, the Leonard B. Melvin Distinguished Lecturer and professor of law at the University of Mississippi, died Tuesday (Jan. 22) morning in a car accident on Interstate 40 in Conway County, Ark., as he was driving home to Oxford. Barnes, who received the 2006-07 Outstanding Professor of the Year and 2007-08 Faculty of the Year awards from the law school, was described as a “great colleague and caring human being” by Richard Gershon, dean of the UM School of Law. A visitation is scheduled for 4-7 p.m. Friday (Jan. 25) at the Waller Funeral Home. Funeral services will be held at 10 a.m. Saturday (Jan. 26) at Oxford-University United Methodist Church. Before joining the UM law faculty in August 1989, Barnes practiced law in Tucson, Ariz., and served on the faculty at the University of South Dakota and Brigham Young University. His specialties included contracts, secured transactions, commercial law and federal Indian law. His interests in agriculture and Indian law stemmed from his Cherokee grandparents and his childhood on an Arizona farm. During his more than 20 years at Ole Miss, he served on various committees and he was a former acting director and resident director for the Cambridge Summer Sessions at Ole Miss. A 1976 political science graduate of the University of Arizona, Barnes later earned a J.D. from UA in 1979. He earned an LL.M. from Northwestern University in 1983. A member of the State Bar of Arizona and United States Court of Appeals for the Ninth Circuit, Barnes published 19 articles, essays and other pieces in legal periodicals. Bill Kingery, director of the UM Department of Campus Recreation, remembered Barnes as an ardent reader. Barnes is survived by his wife, Kathleen J. Dornan Barnes of Oxford, and three children, R. Clayton Barnes, Emily Anne Barnes and Molly Kate Barnes.